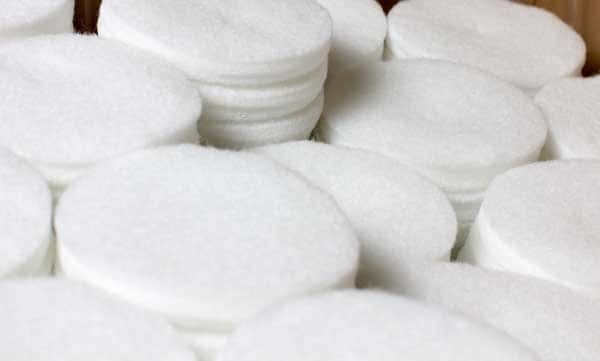 Superior Felt manufacturer and supplier of designer and decorative felt, which is ideal for use as automotive nonwovens, crate felt, display felt and other decorative and technical project needs. **Please note: The color charts on this page may not show the exact color of the felt material. Please contact us for a sample before finalizing color. 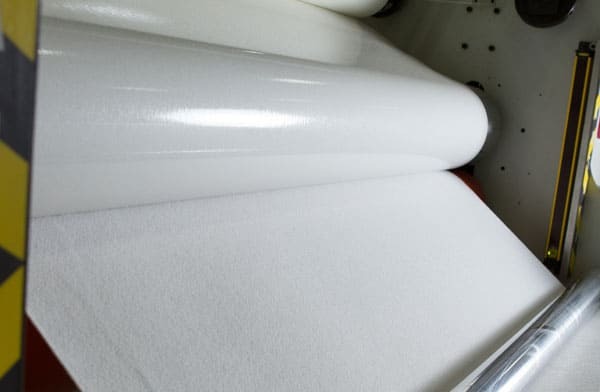 Our Prism 7000 Series Felt is a premium designer felt used in many different decorative automotive nonwovens. This is a high quality pressed felt, which features a blend of 70% Wool and 30% Rayon. Prism 7000 performs well when felt die-cutting or felt slitting is needed. Request a Sample of the Prism 7000 Series today! Our Prism 5000 Series designer felts are similar to our Prism 7000 series, but are made with less wool and less weight to be more economical. Request a Sample of the Prism 5000 Series today! 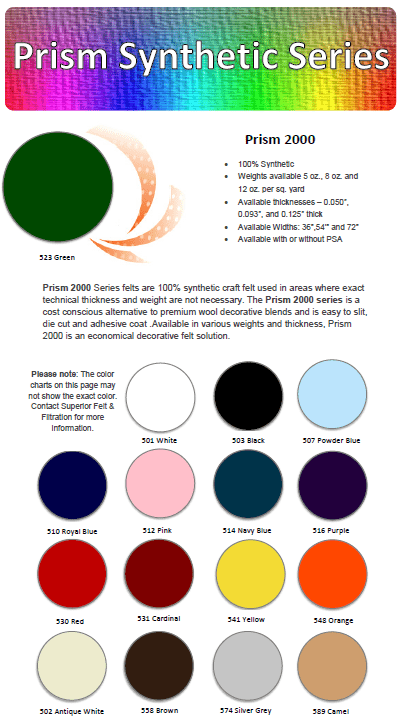 Prism 2000 Series Felts are created with 100% synthetic fibers. 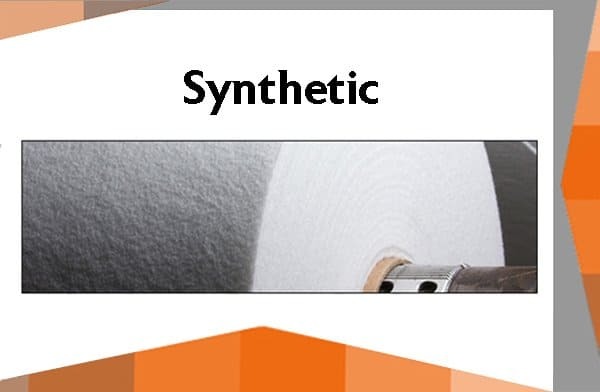 It is an ideal synthetic fabric for areas where exact technical thickness and weight are not required. Most colors are made with polyester fibers, but some colors are still available with acrylic fibers. Please contact us for availability. 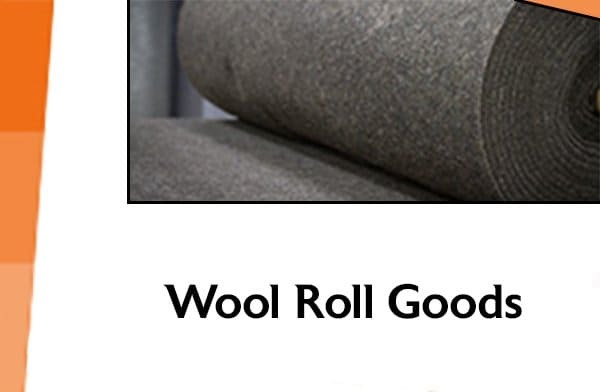 Many other options including 100% wool and other blended felts are also available. Request a Sample of the Prism 2000 Series today! 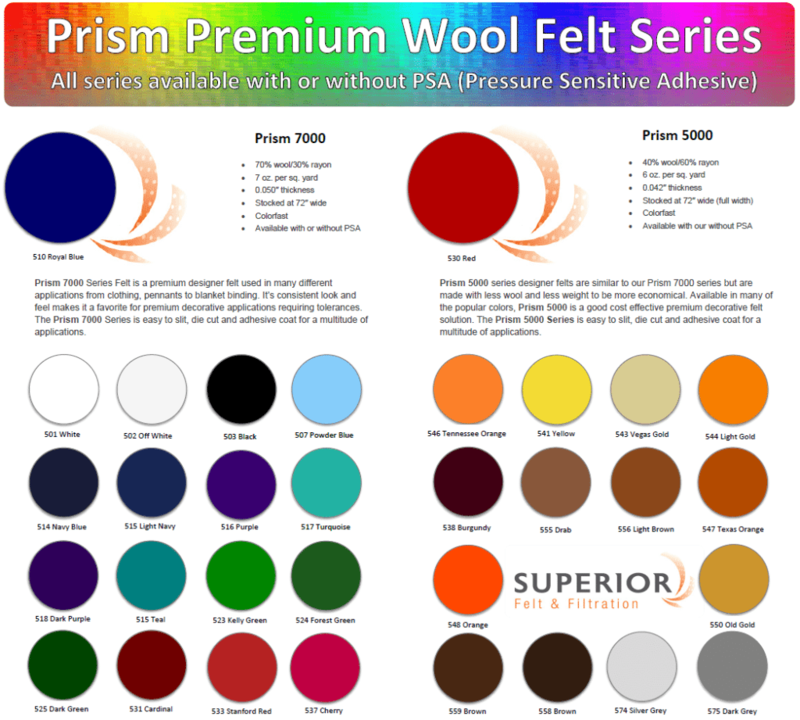 Contact Superior Felt with any questions about our Prism Series Designer Felt or get a FREE Quote online now. We stock multiple densities & thicknesses across a wide spectrum of pressed, needled, virgin and reprocessed wool offerings. 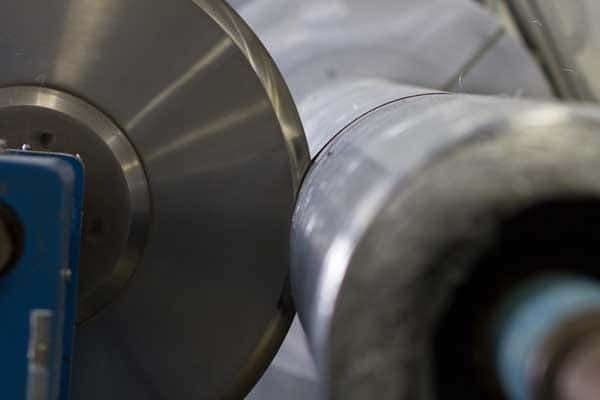 We offer roll good distribution for just-in-time delivery, or we can turn-key your project from concept to completion with value-added converting.